Many churches do not own the building where their members congregate each week. Some do not need their own facility. Others are just starting out and do not have the capital required to buy a venue. Consequently, churches often need temporary signage to let newcomers know where they are. 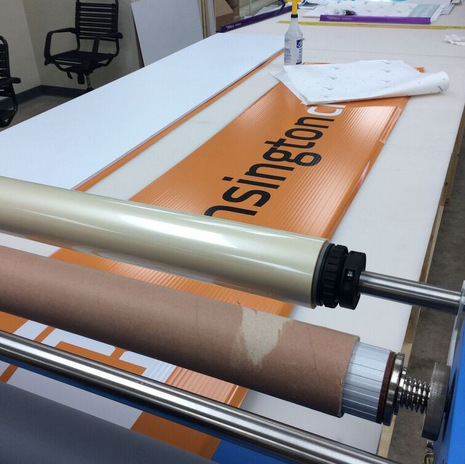 This was the case with Kensington Church when they contacted Citrus Sign Studio for temporary signage for Orlando, Florida. 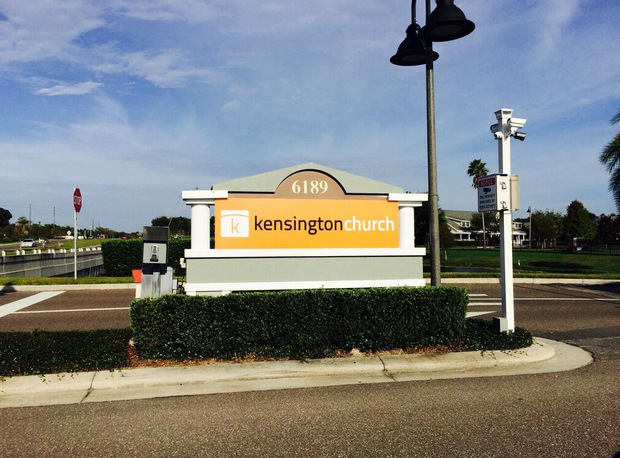 Headquartered on South Dillard Street in Winter Garden, Kensington Church is a living faith community that seeks to provide a safe place where people can check out the claims of Christianity without prejudice or pressure. They first opened their doors in 1991. Since then, they have developed the core values of “love God and others, lock arms, and live openhandedly.” This is evidenced by how they love unconditionally, build community, and model generosity. …With this temporary signage, now the church is in compliance! When an organization that does so much for the community came to us for exterior signs for churches in Orlando, we were thrilled to be able to offer a hand. Kensington Church does not need their own facility. 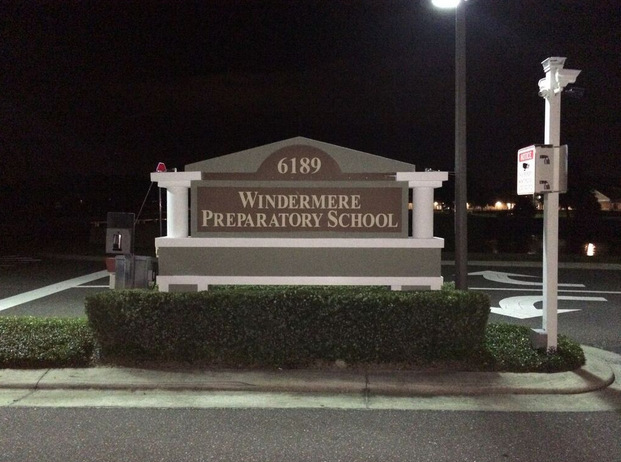 Instead, they meet on Sunday mornings at Windermere Preparatory School on County Road 535 in Windermere. They needed signs to denote their meeting place. That is where we came in. We begin just about every project with an initial consultation, and this job was no different. We learned that Kensington Church had run into some street signage issues with the county and needed to come up with professional yet temporary signs for their services on Sunday. We then came up with some ideas for the project. Once they approved of our designs, we got down to fabricating the markers. Prepping the sign for installation! 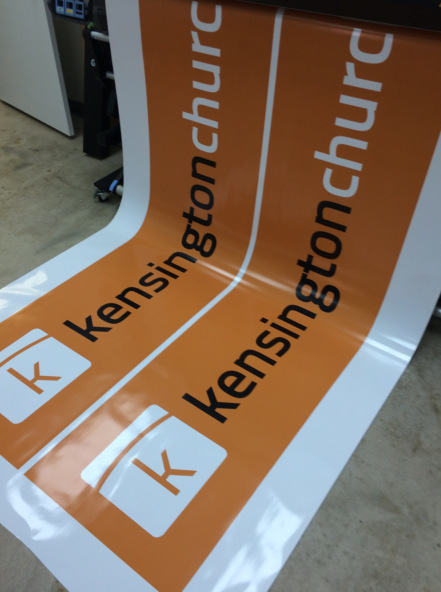 We printed out Kensington Church’s existing logo and branding on top-quality vinyl. We then applied the vinyl to a corrugated plastic sign panel that was cut to the precise dimensions necessary to allow the sign to fit snugly in the regular monument sign for the preparatory school. This temporary insert is light enough for anyone to stage it each Sunday morning. The client was completely satisfied. Now, they are in compliance with the county and people will know where they are meeting. Temporary signage is a popular choice for a variety of circumstances whether you are attending a trade show or you have an annual event you like to advertise. Banners are often used in both of these circumstances. Retractable banner stands serve as great temporary signage at trade shows, and after the event is done, they are useful in your reception area. Hanging banners can serve as primary identification markers or to publicize a yearly event. We also recommend sidewalk signs for promoting temporary sales. There are all kinds of temporary signage solutions. We do not believe in one size fits all solutions, so we suggest you contact us today if you need temporary signs that are specifically tailored to your purposes.